Instant Response technology provides surgeons with improved performance or lower power settings, minimizing the risk of tissue damage and neuromuscular stimulation, and decreasing the need to "turn up the generator." The Force EZ generator adjusts automatically, responding to tissue changes, maintaining power delivery, and minimizing drag. Capacitive coupling is reduced by 30-50% when using Instant Response technology. This reduction is achieved by limiting the RMS voltage and the high-frequency harmonics. Lower voltage means less neuromuscular stimulation and more precise delivery of energy to reduce collateral damage. 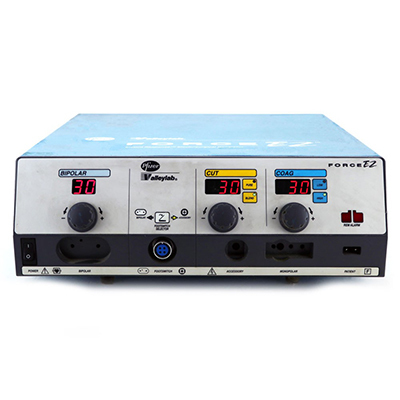 Instant Response technology features an advanced feedback system that recognizes changes in tissue 200 times per second, and adjusts voltage and current accordingly to maintain appropriate power. This unique capability differentiates Instant Response generators by their high power efficiency rating (PER). That's smart generator technology. PER indicates the ability of a generator to accurately deliver the selected power into a wide range of tissue types. 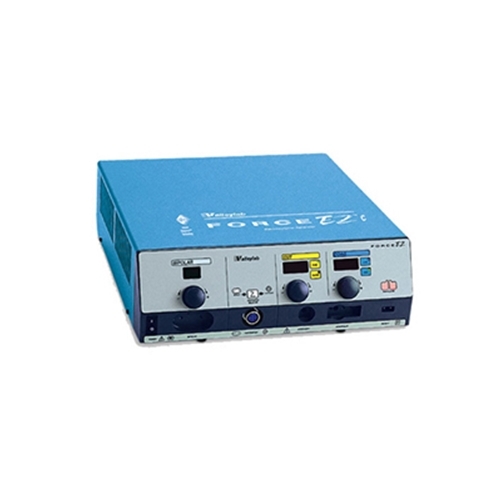 With a PER of 97, the Force EZ generator provides a consistent surgical effect.